Collins Booksellers - Riding, Driving, Fencing for Young People - Long-Distance Riding, Etc. by Dodge Theodore Ayrault, 9781473342361. Buy this book online. This is a vintage handbook on horsemanship originally intended for young gentlemen, with chapters on duelling, fencing, etiquette, and more. 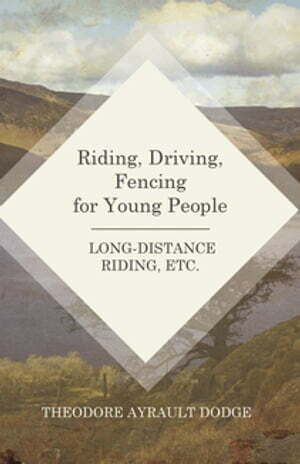 "Riding, Driving, Fencing for Young People" will be of utility to young or beginner horse riders, and would also make for a fantastic addition to collections of vintage sporting literature. Contents include: "In The Saddle", "Driving", "The Horse's Motions as Revealed by Photography", "The Riding Club", "The Himalaya Pony and Hawaiian Riders", "Long-Distance Riding", and "Fencing". Many vintage books such as this are becoming increasingly scarce and expensive. We are republishing this volume now in an affordable, modern, high-quality edition complete with a specially commissioned new introduction on fencing. This book was first published in 1898.